Northern Powerhouse Investment Fund – a Northern opportunity! 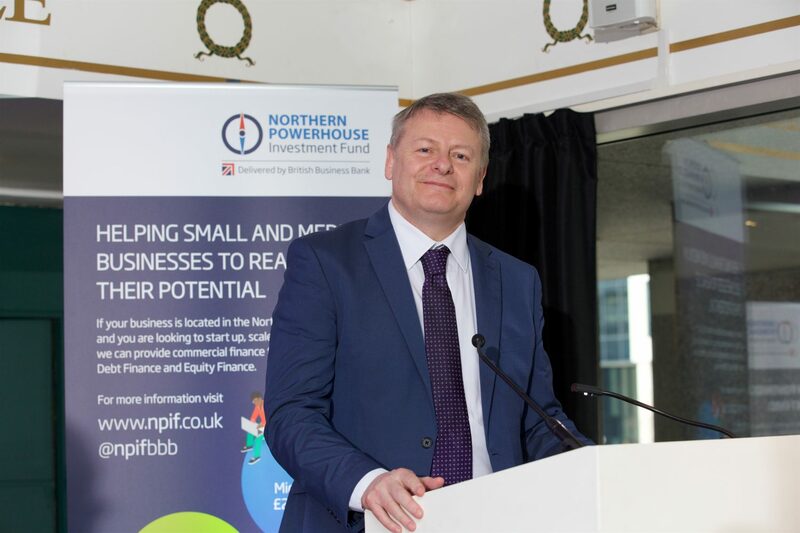 Grant Peggie, Director of Venture Capital Solutions at the British Business Bank, discusses the current small business finance environment, the successful launch of the Northern Powerhouse Investment Fund and the opportunities it offers SMEs in the Northern regions. As highlighted in the British Business Bank’s latest Small Business Finance Markets report, credit conditions have continued to improve over the last 12 months. Indeed, we have seen nine consecutive quarters of growth in net bank lending to SMEs, while peer-to-peer business lending and asset finance were also both higher than in previous years. However, the current economic uncertainty has had an impact on confidence amongst the UK’s smaller businesses, with just over a third of businesses expecting to grow in the next 12 months – down from 56 per cent in 2015. 71 per cent of SMEs said they are wary about accessing finance, and the percentage of those seeking new debt facilities halved in the first six months of 2016. Part of this problem may be a lack of education for SMEs when it comes to the finance types available and how to access them. To combat this, the British Business Bank has published its Business Finance Guide, in partnership with the ICAEW, setting out the range of options and providing links to support in the local area. When it comes to financing further growth, the British Business Bank also recently launched the £400m Northern Powerhouse Investment Fund in front of 150 business leaders and influencers in Manchester. Working alongside the 10 Local Enterprise Partnerships that make up the Northern Powerhouse region, NPIF will provide a range of debt and equity funding to businesses looking to start up, scale up and stay ahead. The new initiative is a key part of the government’s Northern Powerhouse vision, with the objective of boosting economic growth in the North of England and placing the region on a par with London and the South East. SMEs are at the heart of raising productivity and employment, so ensuring that businesses have access to funding options capable of supporting them at any stage of their journey is crucial. Equity funding, providing early or late stage finance from £50,000 to £2m. In the coming months, our fund managers will be working with local advisers and growth hubs to identify SMEs that are looking to achieve their business goals, as we look to unlock the North’s economic potential. If you’re looking for funding, or want to find out more about the Northern Powerhouse Investment Fund, visit our website at: http://www.npif.co.uk.